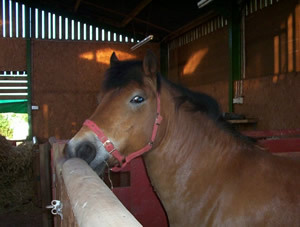 If you are looking for the 8 year old 14+hand bombproof cob that lives out on minimum feed and needs very little care and attention, don't call us! They are as rare as hen's teeth and they wouldn't be in a sanctuary. However, if you have room in our life, pocket and heart for the companion pony, the pony with the hang up or if you are competent to bring on and educate a youngster to become that elusive bombproof child's pony; then do ring or email us. We would love to hear from you! You caring people who would be prepared to give a Rainbow pony a chance in life and offer a long term, secure and loving home. Are you also as rare as hen's teeth? 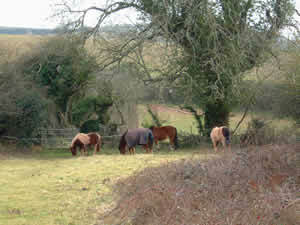 We have a number of ponies at the sanctuary available for sponsoring or loaning. These animals deserve a home. I love them warts and all. They are cared for here but I can't give them the one to one that they all need and deserve. Come on, restore my faith in human nature. 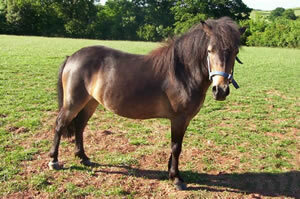 If you can't offer a home then why not sponsor a pony or a goat? Contact me if you can help or have some spare time and want to do something rewarding, why not volunteer. More information will be available online soon, but in the meantime please contact me if you are interested in sponsoring a long-time resident, or can provide a home for a Rainbow pony. Some of our ponies have 'special needs' (physical rather than behavioural) and are looking for homes able to provide a little bit of extra care.